This week we take a look at Nova Squad a guild for the Republic. I came across them through Twitter. They had posted a PVP event and so I wanted to check this guild out. What I found was a family friendly guild that loves to have fun. 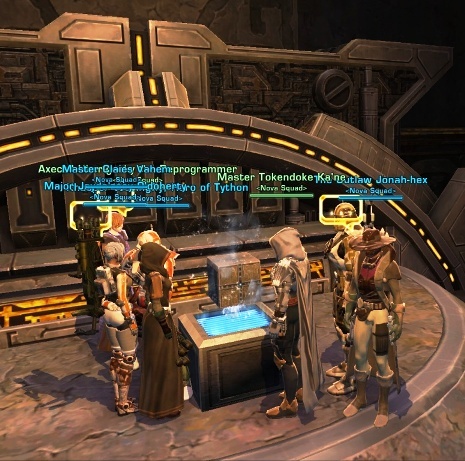 For Nova Squad, this fun comes in many forms, Datacron runs, “Monday Heroes” heroic runs, and much more. After spending some time in their forums and getting to know them, it’s obvious they pride themselves on character; it is a definite strength in this guild. We will find out more about Nova Squad in our Q&A with their guild leader, Hoka.